Music & Songs from Brazil is a look into the world of Música Popular Brasileira or MPB. This genre embraces all of Brazil’s musical styles from the recent past, layered onto the already rich traditions of European, West African and Indigenous origins. 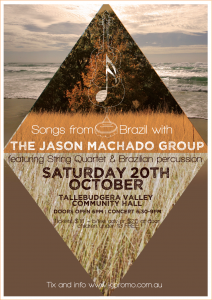 The JASON MACHADO GROUP captures this union in its instrumentation with a diverse collection of musicians who themselves specialize in a variety of musical genres, bringing together a rich beauty to this ensemble of popular Brazilian song. Featuring Mike Patterson & Eugenie Costello – violins, Benjamin Greaves – viola, Danielle Bentley – cello, Mateaus Lasco & Jason Bell – Brazilian percussion together with Jason Machado – voice and 7-string guitar. 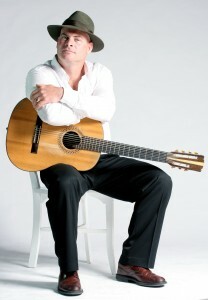 Let them take you on a journey through the exotic world of Música Popular Brasileira where culture meets song.